Alan Watts and Terrence McKenna weave together their seminal visions of our nature and condition into a call for conscious change. Recent years have seen the visionary South American plant medicine ayahuasca acquire a growing reputation as a powerful catalyst for healing and transformation. 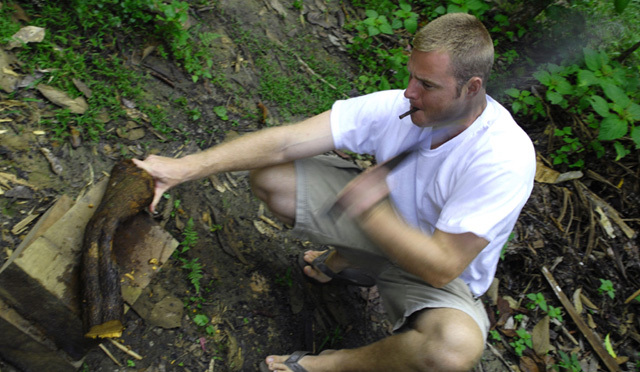 American shaman Hamilton Souther apprenticed with traditional ayahuasca healers in Peru and has spent many years working in the Amazon with the visionary plant. Back in the States, he discovered that cannabis could be used in a similar way for shamanic healing – and then took the work to a whole other level, using internet streaming technology to conduct global journeying and healing ceremonies with large numbers of people.